Brain hates his new school. And now a violent bully attacks him every day. 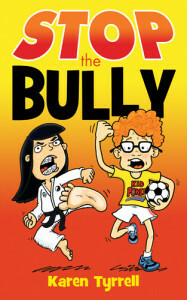 STOP the Bully was created by Logan author and teacher Karen Tyrrell to give children a voice in overcoming bullies. Cover designed by Logan business: Book Cover Café. Pam Parker bought #50 copies to share with volunteers who will read to KIDS at Logan schools. Bailey Beats the Blah and in 2012 launched my recovery memoir, Me and Her: A Memoir of Madness. I’m so proud, the Kids Helpline LOGO and information proudly displays on the back cover of STOP the Bully. 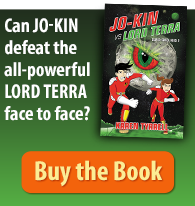 5% of profits go to Kids Helpline to support Kids in crisis. ALL children take home FREE goody bag: Kids Helpline stickers, fridge magnets and postcards.